Almost all the reports in Retail ADVANTAGE POS Software first preview on your screen when generated. You may not see the complete report on your screen until you maximize your screen. To maximize your screen select the middle button of the three buttons found on the upper right hand corner of the report. That button is between the button that looks like a dash, which is the minimize button, and the x button which will actually close the report. 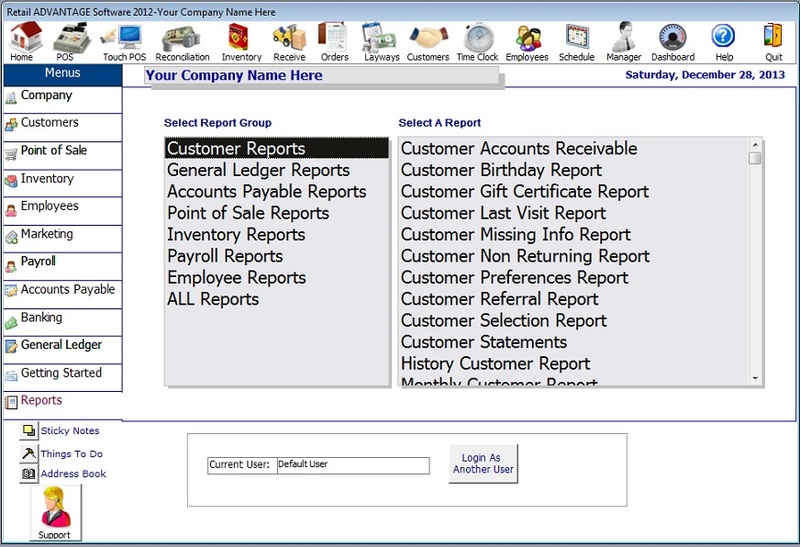 To print your point of sale software report select the print report button found on your tool bar. You will also see options to output your report to notepad, analyze with excel, publish with word and send via email.